If you’re thinking of sponsoring a child, but don’t know where to begin, we can help. For £26 a month, sponsoring a child can be a truly heartwarming experience, one that makes a real difference to a vulnerable child in need. Sponsoring a child is life-changing, offering fulfilment and a new lease of life to a child in need. You can literally see your sponsored child’s life change, by going to visit them and making memories of your own. You can exchange letters with them and build a lasting relationship. The first step to building a relationship with your sponsored child is choosing the child you’d like to sponsor. You will be the only person to sponsor your child, giving you a personal attachment and bond. 1. Using our simple child sponsorship search tool, you are able to view details of children in need. Each country and child faces their own challenges and needs, so you can learn all about them individually. 2. You then select how much you’d like to donate (minimum £26 per month). 3. Provide some personal details and the process is complete. Then you can find out more on your online portal, where your sponsorship journey truly begins. Whether they’re a daughter, sister or grandchild – we want them to be happy with a hopeful future ahead of them. Unfortunately, not every girl has this opportunity. In some of the poorest countries, girls are vulnerable to violence and abuse, leading many girls to have few life choices and low self-esteem. In some cultures, a girl’s education is perceived as worthless, some are denied an education. Instead, they might be made to work and help earn a living or be forced into marriage, marrying men more than twice their age, denying them their own choices. By sponsoring a girl, you are empowering her to overcome extreme poverty. You are giving her the support and security to make a change. Sponsoring a girl can mean the chance for an education for girls who have to travel miles on foot to school, or have been denied the chance at all. 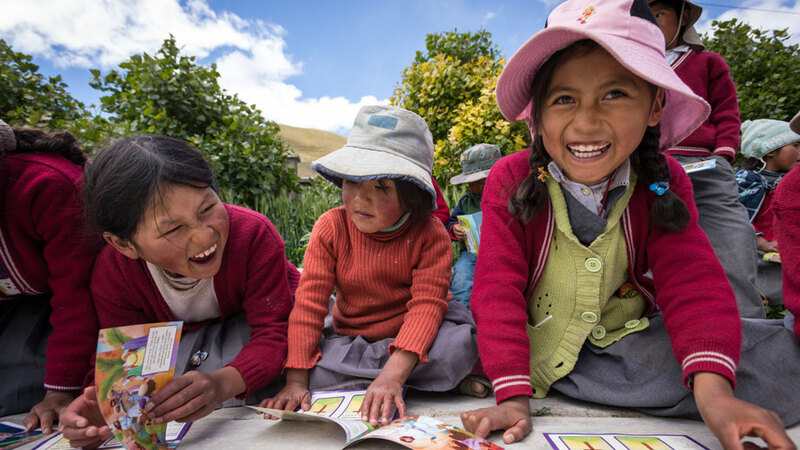 You can provide them with the educational resources they need to build a hopeful future. Many boys are vulnerable to poverty, malnutrition and daily struggles. They are forced to take on responsibility at a young age, burdened with the stresses of adulthood – providing for their families. As a result, whilst young boys in developed countries are wondering what computer game they would like next, boys in the poorest of communities are wondering where their next meal will come from. Sponsoring a boy can help break the cycle of poverty for a young boy in need. Together, we can help provide them with food and water, the basics they need to help them concentrate in the classroom and gain an education that will help them achieve a bright future. It’s hard enough losing one parent in childhood, but children who have lost both can be left to grow up alone or care for younger siblings. Many orphans are vulnerable to physical and emotional abuse, forced into early marriages or even child labour, growing up too fast. By sponsoring an orphan, you are providing them with the resources they need to live a healthy and prosperous future. You are giving them a new beginning, one with hope, the knowledge that someone cares, and the opportunity to achieve their dreams. Start your sponsorship journey here.